Summer is a great time, which is perfect for fun entertainment. One of them is throwing water bombs. They are broken as the pavement and the wall or the dirt road, so you can play with these devices and on the beach and in the country. Using this weapon, you can arrange a real battle between entire teams or two people. Take an ordinary plastic bag from under yogurt, milk or sour cream. Then dial in the tap water. Clamp the hole of the clothespin. After that climb somewhere higher, raise a package of water over your head and feel free to throw a homemade bomb at his opponent. And now for something more original and more interesting. Imagine that to make a missile perhaps of paper. Take a sheet of A4 and make it a square. 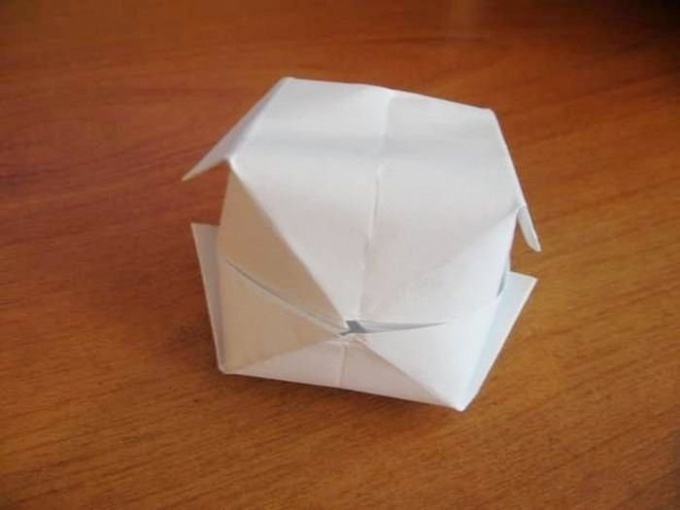 To do this, exactly fold the it to the corner so that the short side of the sheet is formed along the long. Smooth with your fingers or a ruler along the diagonal. Then turn the sheet and evenly fold the excess part. After that, expand it and cut in the bottom strip. You don't need. Spread the resulting square, fold along the other diagonal and unfold again. You should now have a square with two lines of fold on the diagonal. Flip the workpiece. Position your fingers on the 4 side edges. Then bend inward the two opposing sides so to get a double triangle. Then fold the corners of the top layer of the workpiece to the center line. Ends products should be at the top. Similar actions follow, and with the second side of the triangle. Bend the tabs on both sides to the Central part. Do the same on the other side of the product. Tuck the 4 corners on both sides from the center to the pockets. The same action must be done from the other side. Water bomb is ready. Left gently to inflate the product, and then in its Central hole to pour the water. The resulting projectile must quickly use. Otherwise the paper will get soggy and the effect of the projectile will turn against you. But if you have time to quit, you will be able to admire how effectively burst your bomb. Take an ordinary rubber ball, preferably a round shape. Put it under the faucet and fill with cool tap water. Make sure that the fluid accumulated is not too much, otherwise the ball will be strongly stretched and torn, just before he could accomplish his task. Gaining the right amount of water, tie the opening with thread, what would you do with inflated balloon. Instead you can use regular finger cots or rubber medical gloves. The scheme is the same: filled with water, tied, well took aim and fired. You can enjoy the effect of an exploding projectile! Also available are sets with water bomb. In the kit there is usually a nozzle on the crane, which is very convenient to get water into the product.